One week after rumors surfaced claiming Microsoft has plans to bring its Word Flow mobile keyboard app to iOS, a report on Monday now says an early version is already in testing and will bring a special one-handed operating mode to Apple's devices upon release. Sources familiar with Microsoft's project told The Verge that the iOS version of Word Flow will feature a special one-handed mode that builds on the stock Windows Phone iteration. Microsoft's keyboard on Windows 10 Mobile also sports an option for one-handing text input, but the iOS iteration is expected to net separate UIs for both right and left handed users. On Windows Phone, the feature appears as a QWERTY keyboard shifted to the right side of the screen. For iOS, the keyboard fans out from the bottom right or left corners of the screen, facilitating ergonomic typing. Aside from the specialized one-handed input option, Word Flow for iOS is said to come packed with the usual set of features seen on Windows Phone, the report says. For example, users will be presented with word auto-completion recommendations, emoji character input and an intelligent swipe-based typing mode. Recently, Microsoft has exhibiting a willingness to share exclusive technology across platforms. Alongside cross-platform enhancements for flagship product lines like the Office suite, the software giant has proactively ported other central Windows features to iOS and beyond. For example, the company brought its Cortana voice-recognizing virtual assistant, a value-added Windows Phone feature, to Apple's mobile devices in December. While Microsoft has yet to set an official release date, The Verge says to expect Word Flow for iOS in the coming months. An Android version is also in the works. How will it be different from Thumbly? Good catch. Looks nearly identical doesn't it? Then again MS would probably say it came from this earlier keyboard. 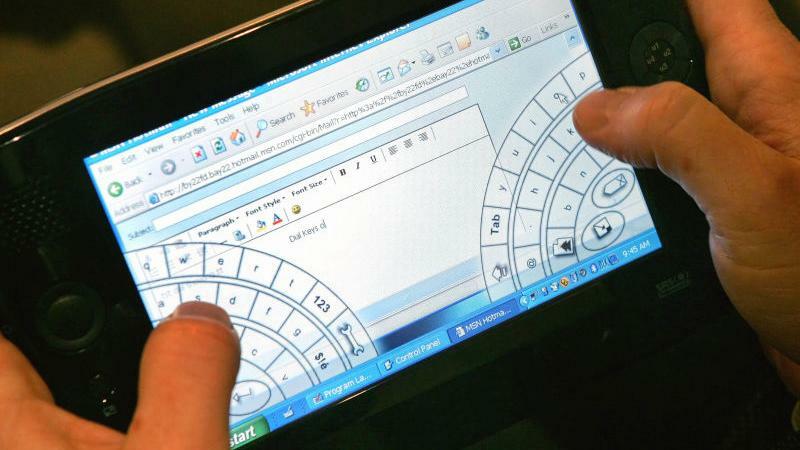 That one-handed keyboard looks kind of clever. I will probably give it a try. Thumbly looks to be a two-thumb keyboard, no? Yeah I was thinking about this MS keyboard, for which nobody cared or gave good review! I use my iPhone keyboard one-handed. I just reach over with my thumb and hit the "dictate" button. So has MS completely abandoned their strategy of building interesting apps and software exclusively for a phone OS platform that no one is buying, hoping it will entice consumers to switch to that platform? MS is finally awaking to idea of innovating in other platforms other than their own, this is one way to gain users loyalty to their brand. With happy users, users more likely to use more or switch to MS product, than alienate it. This, plus the recent article indicating Samsung is bring apps to iOS, just adds to the argument that iOS is becoming a standard. Even with less than 20% of the market by sales volume, iOS is likely larger in terms of installed base, and the majority in terms of the installed base that matters; among consumers who actually use their smartphones as a smartphone and who spend money. 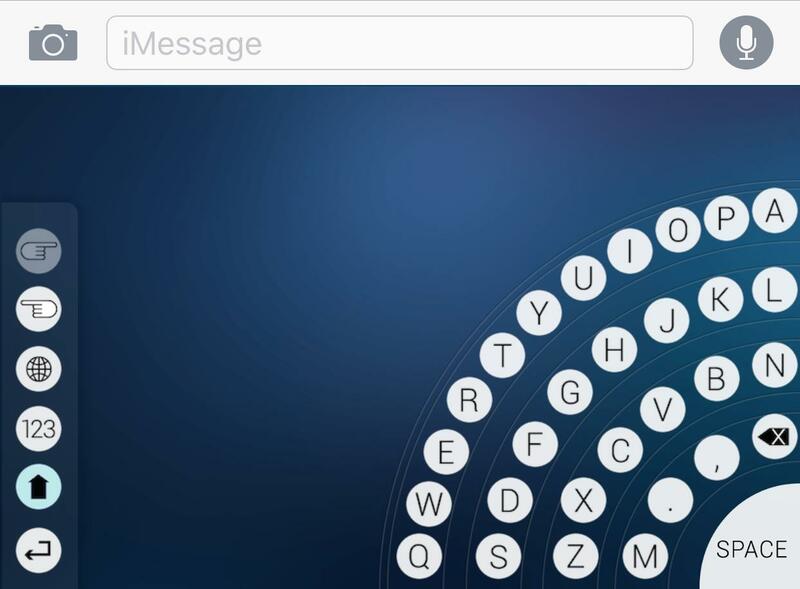 Nope, it's a one-thumb keyboard, at least on the iPhone.